We invest a lot in our families, both financially and emotionally. Even our homes are social spaces to ensure togetherness and a strong bond between family members. Sometimes though, it’s important to take time for yourself and return to your personal space. Having a personal sanctuary or a ‘calm zone’ is imperative to reconnect with yourself and have some peaceful time. Your personal haven could be a space where you can go to meditate, read, knit, write, pursue a craft, play a musical instrument, or simply unwind. Your “corner of calm” might be an entire room, such as an unused bedroom, or a sectioned-off corner of a larger room. 1) Choose the right space: The idea is to put psychological distance between your retreat and the rest of the house, even if the physical distance is not great. There should be little to no foot traffic in this space. Even if you choose an obscure corner in your house, it should have a stand out element. This element could be something that defines you; it could be a bookshelf, a guitar or even your favorite vase. 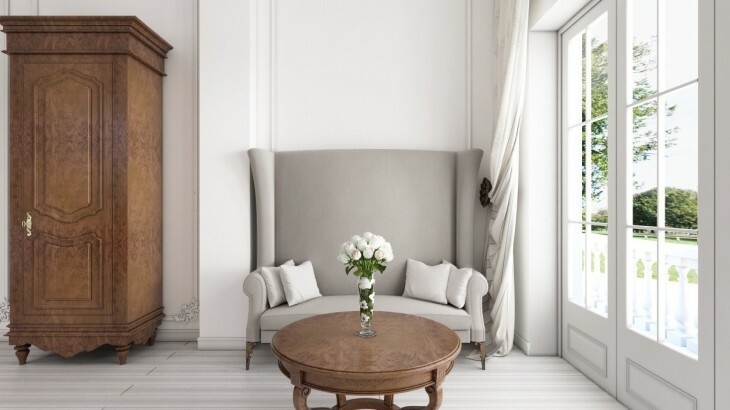 a) Have spaces that are openly hidden: set up a slipper chair or a high backed chair (anything unique) in the corner of your bedroom with a small side table for your cup of tea and your current read. b) Use the empty corner by the window: Have a comfortable throw on your chair and a unique wall lamp right next to it. There’s nothing like a good view and a comfy setting to enjoy your morning paper and cup of tea on a Sunday. c) Insert hidden drawers that can accommodate your hobby space: If you don’t have enough room, find ways to create it. A hidden shelf in the wall that will house your leisure activity tools is the best way to go. This is also a very efficient trick so that the bigger picture remains undisturbed. Whether your personal haven is all about indulging your inner artist or designer, make this secret space a part of your personal haven. 3) Establish privacy: Your personal haven has to enable privacy. This is the essence of the personal space. a) The best way to do this is establishing a unique look for your haven. Play with antique lighting or textures and colors that will set it apart from the rest of your home. The look of your haven does not have to conform to a set look and feel. Remember, the haven should define you. b) In a big house with many family members, you might even have to set up physical barriers. Use plants or see-through shelves as subtle barriers between your space and the rest of the house. You can even try using something solid, like bamboo, or a shoji screen with rice-paper panels that allows light to filter through. Another important trick you can use is heavy furniture like chairs and carpets that muffle the sound around the area. With this guide, you can set the mood and aesthetics of your personal haven at home. Most importantly, your personal haven will allow you some much needed alone time and inspire you to be a better version of yourself.